Spice Mobile has silently launched another low cost Android smartphone - The Spice Mi320,a DUAL SIM Mobile Phone. It is powered by a 650 Mhz Processor and it will run on the Android 2.3 Gingerbread OS. It has a RAM Capacity of 256 MB and also has a microSD Slot through which memory is expandable upto 32 GB. Spice Mi-320 has got a 1200mAh Li-Ion standard battery. It has a 3.2 inch TFT LCD touch screen with a resolution of 320*240 pixels. It has a 2MP camera at the back. Bluetooth, Wi-Fi with Wi-Fi hotspot and GPS are other features of this phone. The data connectivity features include 3G with HSDPA of 7.2Mbps and HSUPA of 5.76Mbps. The pre loaded applications include NetQuin antivirus, Vault privacy app bundled along with A-GPS free for six months and social networking apps. Some weaknesses of this gadget are: No front camera for video calling, Low Screen Resolution and Low Battery strength. The phone is available from the online retailer for Rs 4,899. 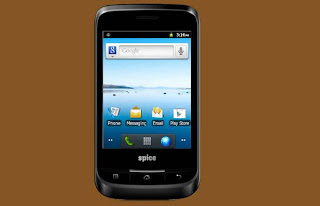 0 Respones to "Spice launches Mi320 for Rs 4,899"